January is naturally the month for making resolutions and goal setting. We are busy putting together our 2011 goals and have a lot of great Pilloroo ideas in the works with some new fun ideas on the way. We keep striving to make Pilloroo better and bigger while being amazed by the successes we have been able to acheive and blessed by the smiles we have seen on our Pillrooo Fan’s faces. I can’t help but look back. We are often asked, how did you get started? It’s with a chuckle, that I explain, “At my mother’s kitchen table; BillieJo on one end and I on the other with our sewing machines buzzing.” Our first meeting, she brought the pillow I had made for Jacob years prior and with much luck and a few false starts, I figured out how to make it again. 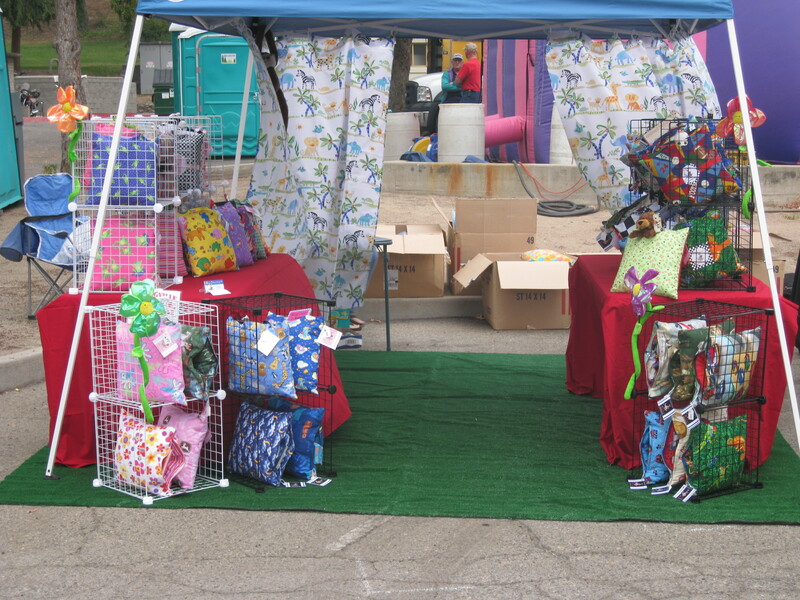 We sewed nearly 75 Pilloroos in the next weeks and signed up for a craft fair in Springville. With butterflies and high hopes, that’s how we started.